Kindergarten is more enjoyable when everyone plays nice. Hitting and being hit is a normal part of childhood, but that doesn't mean you should tolerate it. If you teach a group of kindergartners, you're probably used to seeing the students hit each other on a fairly regular basis, and it's your job to step in and discipline those students. You can also change your expectations and consequences to further reduce the hitting behavior you see in your classroom. 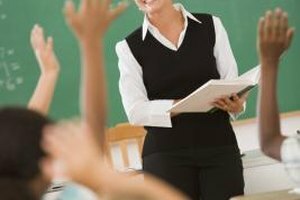 Have a few mitigation techniques ready after a child hits another student to help prevent the behavior in the future. One of the best ways to prevent certain behaviors, such as hitting, is to establish clear and concise rules beginning on the very first day of school, but it can be effective at any point during the school year. 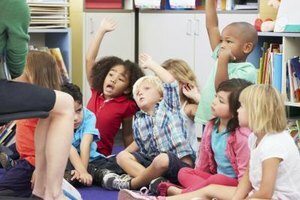 Gather your kindergartners into a group and tell them exactly what you expect, Jane Nelsen, author of "Positive Discipline in the Classroom," recommends. Let them know that you won't tolerate hitting for any reason, and tell them what the consequence will be if they break that rule. According to KidsHealth, when children this age understand what's expected of them, they're more likely to follow the rules. When one of your kindergartners does lash out and hit another child, he should be removed from the situation immediately. This time-out gives him a chance to calm down so that he can deal with whatever caused him to hit in a more appropriate way. Gently lead the child to a quiet spot in the classroom and remind him that he's taking a break because he chose to hit. Let him sit for about five minutes and then remind him again why he is sitting apart from the rest of the class. Ask him to apologize to the student he hit and then invite the offender to rejoin the rest of the class. If you have a student who is a repeat offender, keep a close eye on her so you that you see the warning signs that she may be ready to hit. When she starts to lose control, redirect her attention somewhere else before she resorts to hitting, Scholastic.com recommends. You might ask her to help you with something, such as getting out paints for an art project or sharpening pencils. You might also show her a different activity, such as an interesting book, that will remove her from the situation that's upsetting her before she strikes another child. If she tends to hit when you're doing individual work, remind her to concentrate on her own work, and move her desk apart from the other children if necessary. When one of your kindergartners hits a classmate, it warrants a call home to mom or dad. If this isn't the first offense, you might also get the principal or other school administrator involved so that you have support as you approach parents. 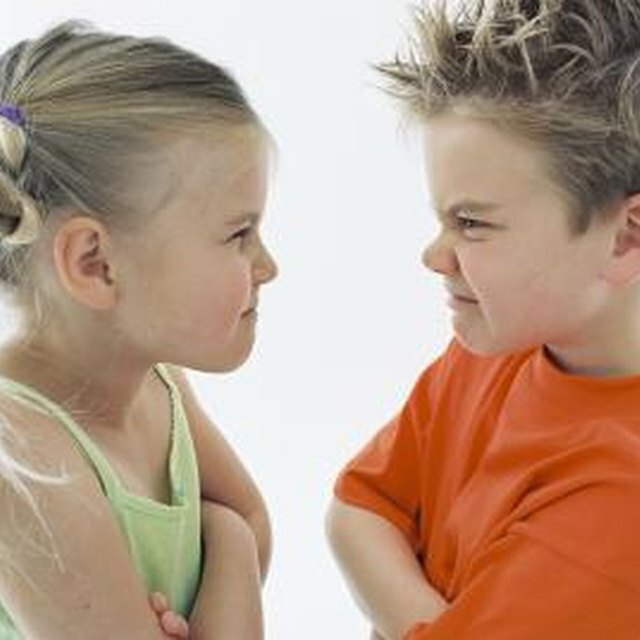 Most parents want to know immediately if their child is hitting other children, and they often have a bigger influence on their child's behavior than you do. Find a quiet time to call home, such as later in the evening after the child is in bed, so that both you and the parent can focus on the discussion. Talk about what works in terms of discipline at home and come up with ways to integrate that into the classroom. Come up with an incentive program to encourage the child to stop hitting. Perhaps you could give him a sticker on days when he doesn't hit and his parents can reward him with a small prize when he gets a certain number of stickers. Children who know that their parents and teacher communicate are more likely to behave themselves. Ipatenco, Sara. "How to Deal With Kindergarten Students Who Hit Classmates." 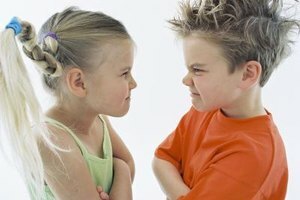 Synonym, https://classroom.synonym.com/deal-kindergarten-students-hit-classmates-3890.html. 26 September 2017.